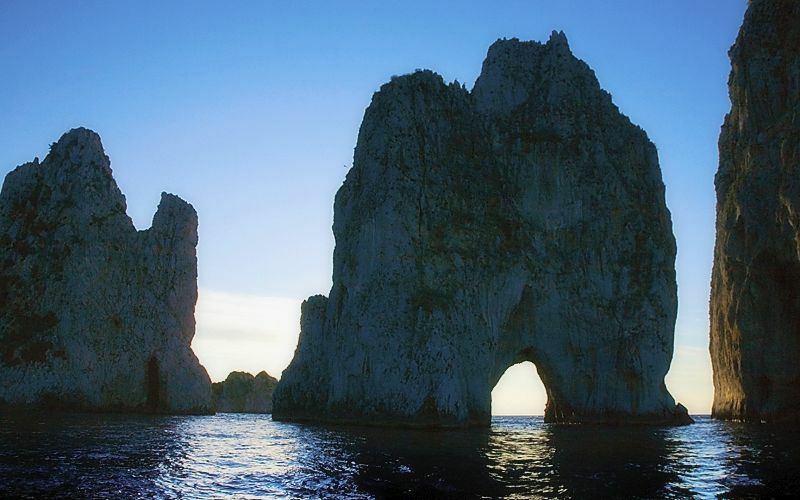 Capri's most iconic sight is the dramatic Faraglioni, three towering rock formations which jut out from the Mediterranean just off the island's coast. 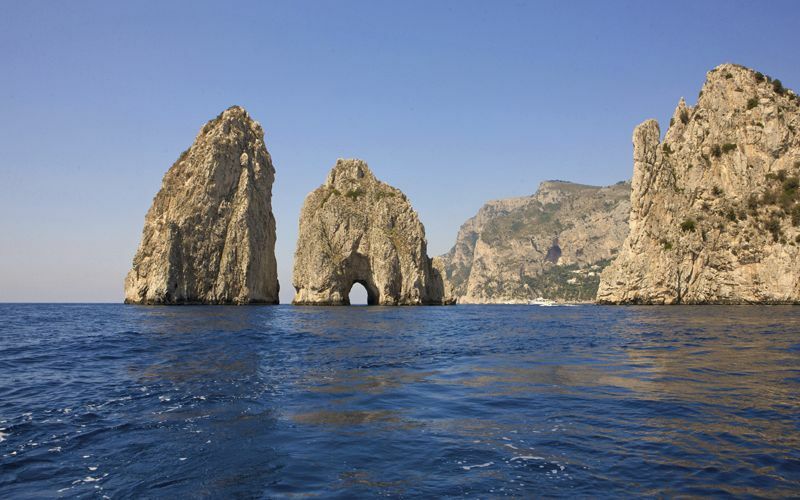 A snapshot with this breathtaking group of sea stacks in the background is a must for all visitors to Capri. 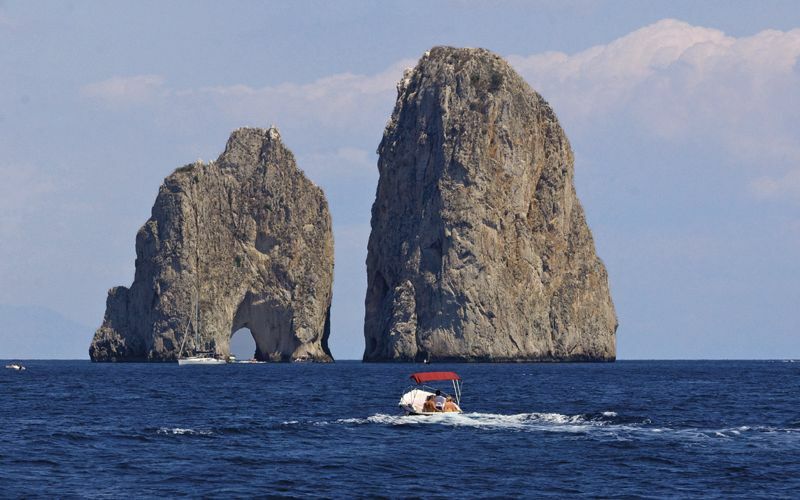 The best way to view the Faraglioni, however, is by sea during a boat tour of the island. Your skipper will sail right through the stone archway of the Faraglione di Mezzo: if you're with your sweetheart, be sure to exchange a kiss while passing through for good luck! 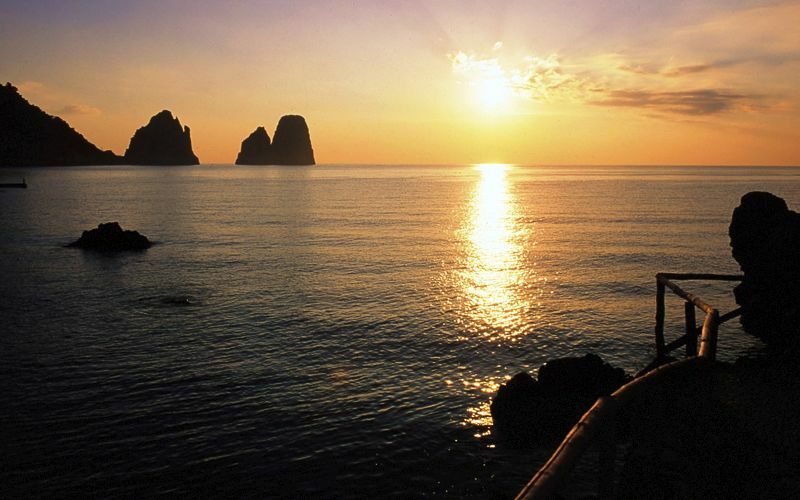 For a dip in the sea in the shadow of the Faraglioni, there are two beaches on the island shore directly opposite the sea stacks: La Fontelina and da Luigi. 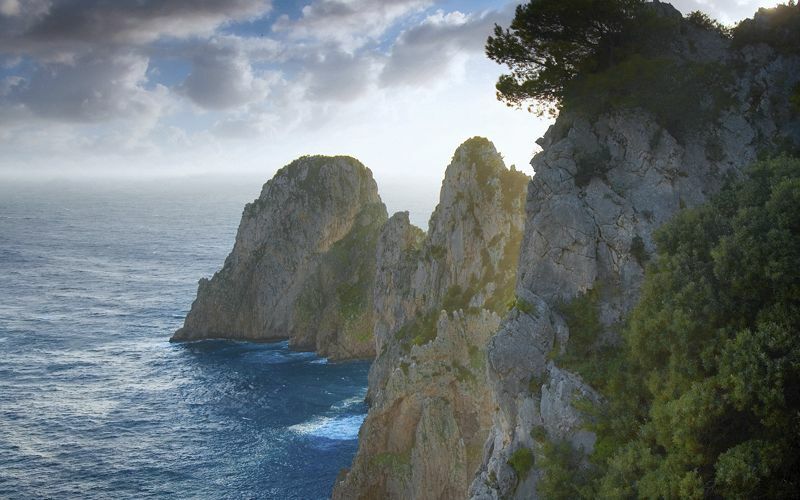 To reach these rocky beaches, take the footpath from the Tragara scenic overlook. 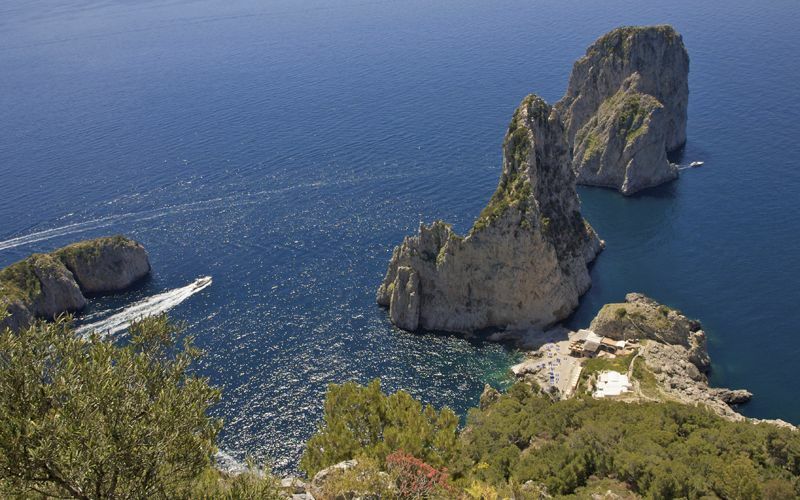 If you'd rather not climb back up after your day of basking in the sun, there's a ferry service which will take you to Marina Piccola. 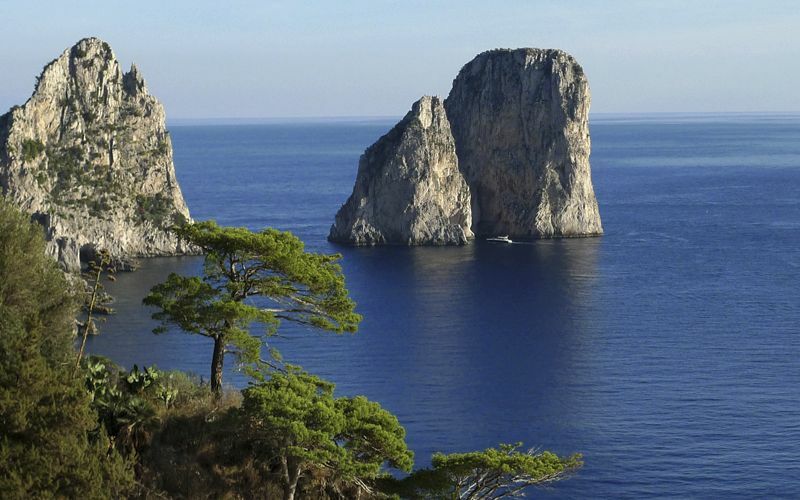 This corner of the Island of Capri was a favorite of the ancient Romans, who built sumptuous villas overlooking the Faraglioni along these shores. 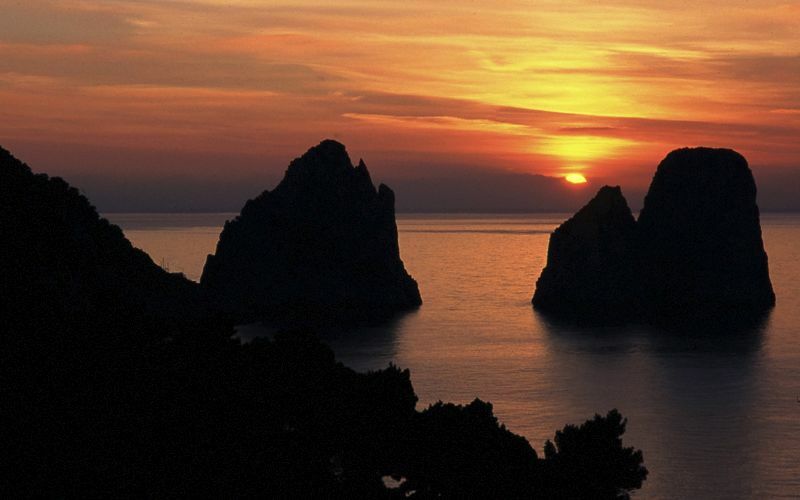 During the 1900s, artists and intellectuals colonized Capri once again, finding creative inspiration from the beauty and serenity of the island. 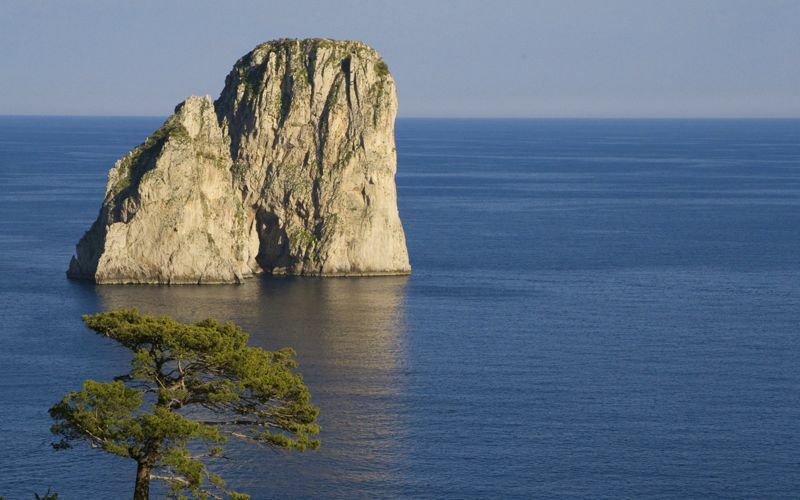 The Faraglioni rock formations of Capri tower an average of 100 meters above the surface of the sea. 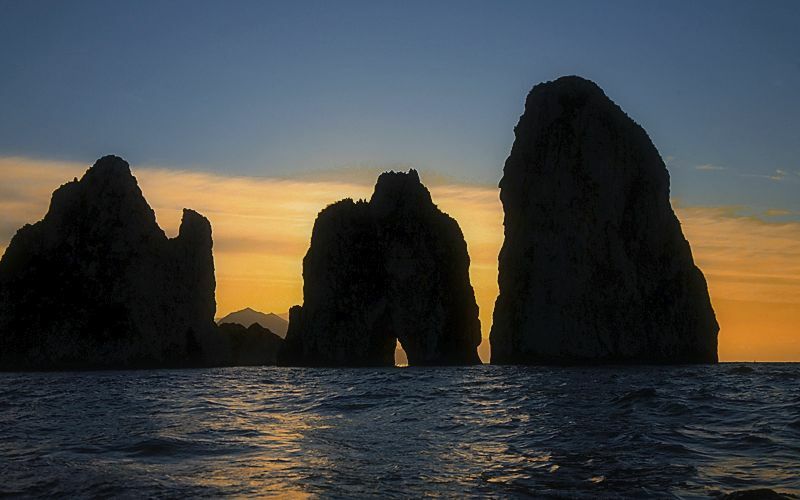 The closest stack to the shore is named Stella, the second - and middle - stack, Faraglione di Mezzo (which is also the smallest of the three, and has the famous stone archway), and the smallest, the Faraglione di Fuori, (also known as Scopolo). 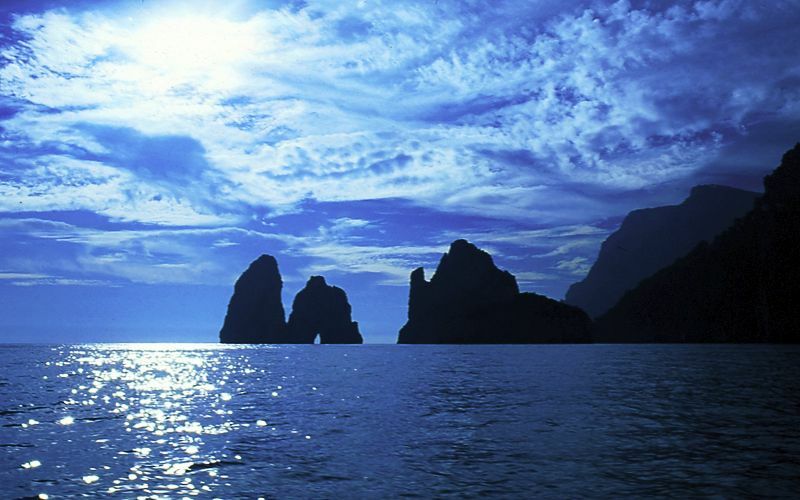 Scopolo is home to the Podarcis sicula coerulea, the famous blue lizard which probably developed its unique coloring to camouflage itself with the surrounding water. 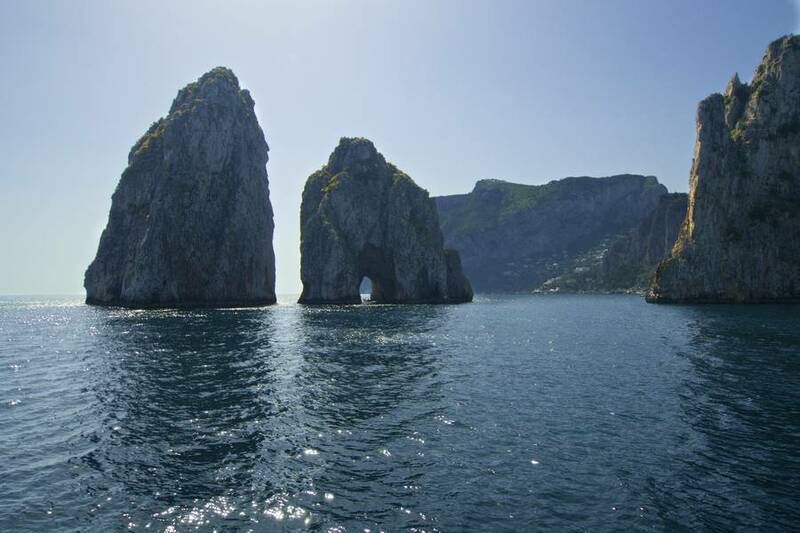 A short distance away, a fourth sea stack known as the Monacone sits off the island shore, named for the sea cows (known as Monaci) which once inhabited the waters surrounding the Island of Capri.